FlightScope, a world leader in the development and manufacturing of sports technology, announced that its Xi launch monitors were used to track players' data and performance as they were tested on a variety of skills during the World Golf Skills® Challenge on August 15. "At FlightScope we are committed to helping players continuously improve their game and core skills through the new technology and products we develop," said Henri Johnson, founder and CEO of FlightScope. "We're thrilled to sponsor this event and partner with a company that so closely aligns with our own mission and focus on golf skills education." Participants' skills were put to the test on one of the premier driving ranges in the country at the TaylorMade Golf Experience. Each player took six shots at three different targets set at 135 yards, 150 yards and 165 yards, taking two shots per target. FlightScope's technology was on hand to track each player's data and keep an updated live leaderboard throughout the competition. The winner received $500 and a one year loan of a FlightScope Xi unit. Second place and third place were to receive $250 and $125, respectively. To see the World Golf Skills® Challenge leaderboard visit, www.worldgolfskillschallenge.com or myflightscope.com/leaderboards/#ID=31810. 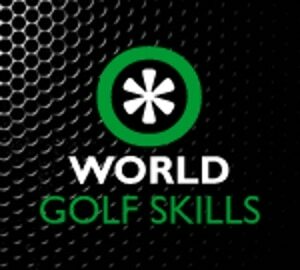 World Golf Skills is a new golf education and event platform focused on improving your golf skills and making the game of golf more fun. World Golf Skills annually hosts the popular World Golf Fest in Las Vegas that features over 12 different golf events and experiences.